A sequel to "A Brush with Art", this book is based on Alwyn Crawshaw's fourth Channel 4 television series. Alwyn takes the reader indoors to his studio, and shows how to develop watercolour skills. He teaches what materials to use, how to work from sketches and how to portray atmosphere. A sequel to "A Brush with Art", this book is based on Alwyn Crawshaw's fourth Channel 4 television series. 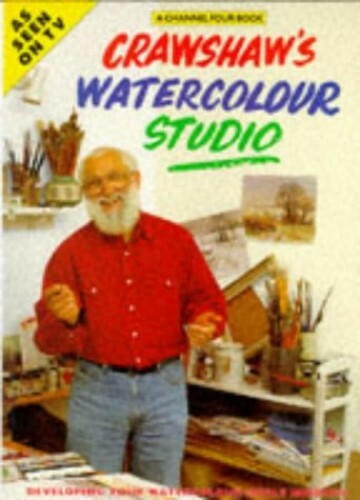 In his previous book, he taught the basics of watercolour painting outdoors. Now, Alwyn takes the reader indoors to his studio, and shows how to develop watercolour skills. He teaches what materials to use, how to work from sketches and photographs done outside, how to portray atmosphere and how to paint realistic skies. In addition to advice on watercolour painting, there are also sections on painting in pen and wash, gouache and acrylics - all water-based painting mediums.